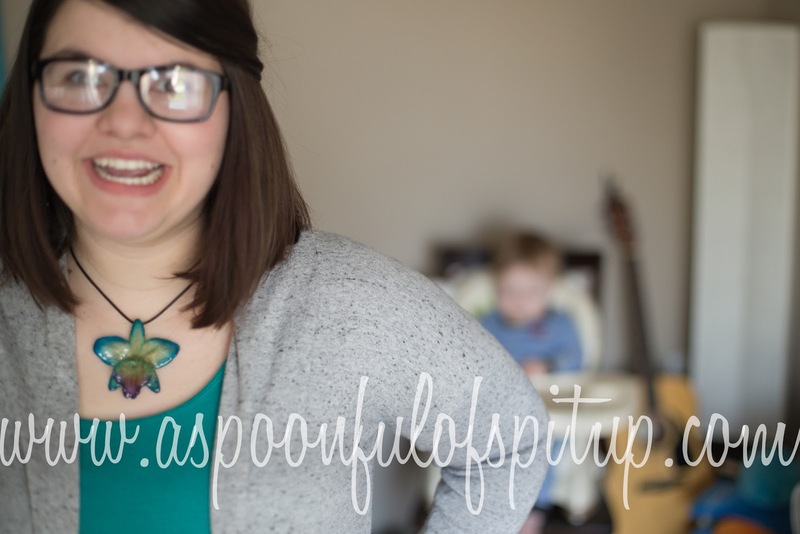 A Spoonful of Spit Up: The Orchid Studio Mother's Day Giveaway! 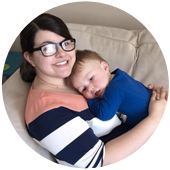 The Orchid Studio Mother's Day Giveaway! YAY! A day for ME to get presents! ...I mean, a day to celebrate the women who raised us, of course. Anyway! It's a known fact that flowers and jewelry are good gifts for the beautiful woman in your life. And also cars. Well, I have something that I'm SURE your mom/wife/sister/cousin/favorite blogger (cough cough) would love to get for Mother's Day! And it's a combination gift: flowers+jewelry=happy lady. Enter The Orchid Studio! 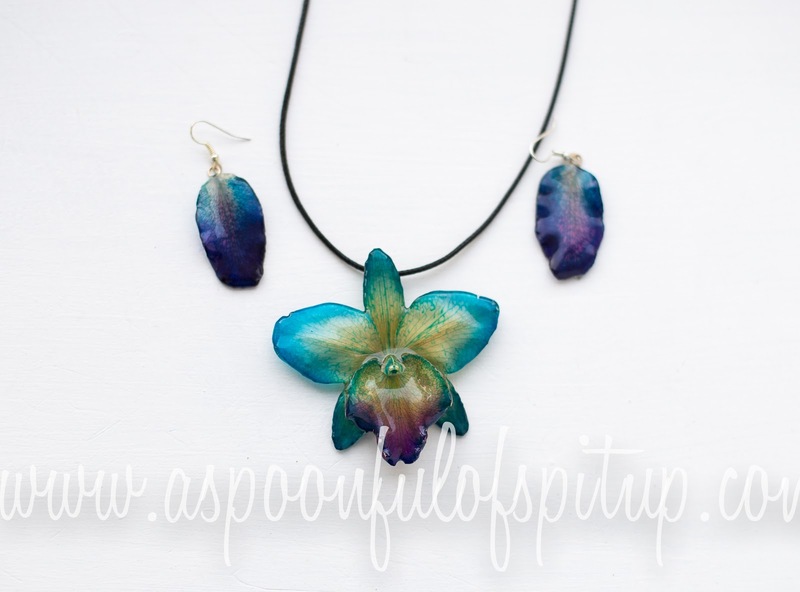 Laura makes gorgeous pendants and earrings from real orchids...they're absolutely beautiful! 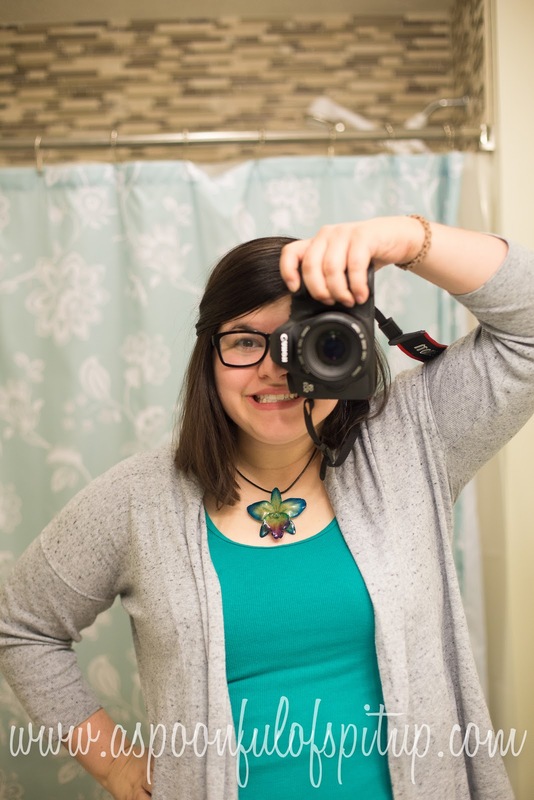 She partners with Orchids Made Easy, and that partnership has resulted in some beautiful jewelry! To make this jewelry, the orchids are dried and then preserved in jeweler grade resin. This process can take up to four weeks per bloom (woah! ), and each piece of jewelry is one-of-a-kind. I chose the Deep Blue Sea Cattleya pendant and earring set in the regular size (there is a regular and large size for some pendants). It arrived (very quickly, I might add) in a cute little box...perfect for giving as a gift! The pendant comes on a waxed black necklace that is adjustable from 16-18 inches. I'm thinking about getting a longer chain, too, so that I can switch it up depending on the top I'm wearing! Um. That's a beautiful photo of me, obviously. 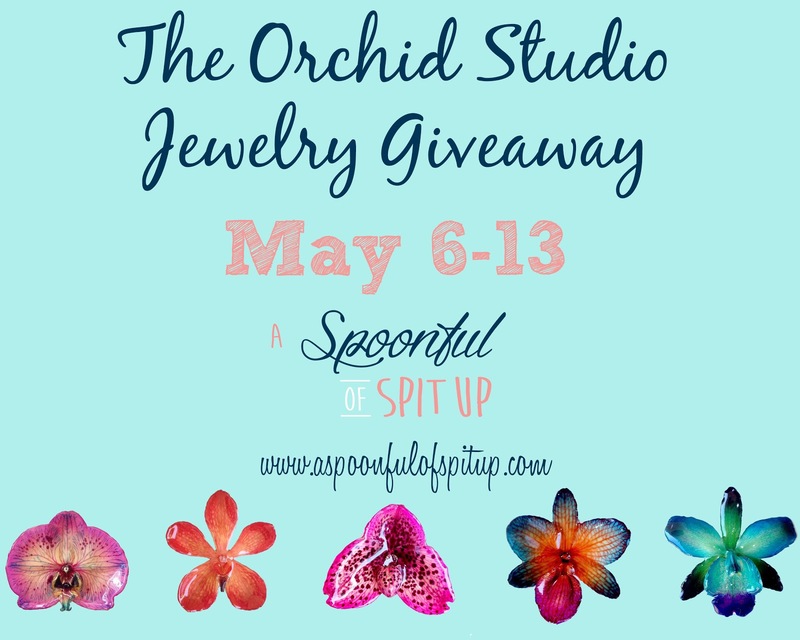 And now it's your chance to win some beautiful jewelry from The Orchid Studio! The winner will get to choose whatever they want from the shop...how cool is that? And GUESS WHAT? This giveaway is open to EVERYONE. No matter where you live. Even Canada. Also, BONUS! You can enter the code "Spoon" to get 20% off your orders at The Orchid Studio for the rest of the month! It expires on 5/31/2014, so use it now! I will announce a winner on the morning of May 14! Remember, voting for my blog won't help you win the giveaway...but you should do it, anyway! All it takes is one little click. Right down there. Underneath these words. Below what you're reading. Disclaimer: I was not compensated to write this post; all opinions are my own. This jewelry really is as beautiful as I say it is, trust me! Don't contact paper your fridge. Trust me. Mealtime Magic Review and Giveaway!